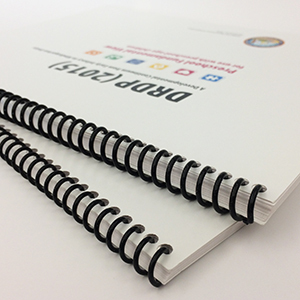 The DRDP (2015) printed manual can now be ordered and shipped to you! The Preschool Fundamental and Infant/Toddler View manuals are available bound and in three color options: full color, black and white, or black and white inside with color cover. Use the links below to place your order on our printer's site. As always, these manuals are, and will continue to be, available to you as a free download in PDF format to use on your computer or have printed using a service of your choice. Intended as a more portable companion to the full DRDP (2015) Infant/Toddler View manual, the Pocket Rating Booklet contains the Measures-at-a-Glance, Quick Rating Guide, list of adaptations, and all of the measures of the DRDP (2015) without the examples. Intended as a more portable companion to the full DRDP (2015) Preschool Fundamental View manual, the Pocket Rating Booklet contains the Measures-at-a-Glance, Quick Rating Guide, list of adaptations, and all of the measures of the DRDP (2015) without the examples.